Spanish Airports and Air Navigation (AENA) has launched today at the aerodrome of Málaga a service of airline information via SMS. 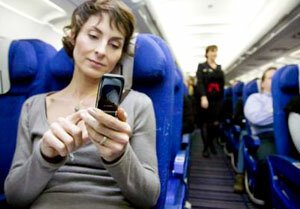 Thus users can know in which terminal operates their company through this messaging service on their mobile phone. With the coming into operation of T3 from Malaga airport, many airlines will change their location, so this service will provide users information about where to go, said today the airport operator through a statement. For this, the traveler simply has to send the name of the airline or the ICAO or IATA codes to the number 27472 and he will receive a reply SMS to his mobile phone. The cost of the message is 0.35 €, VAT included, for users of national carriers. Also, AENA has enabled a web on the T3 (www.aena.es/t3malaga) in order to publicize the new terminal, which opens to the public next March 16. Similarly, it has a telephone information service, 902 404 704, for all its users, which is operational 24 hours 365 days a year.